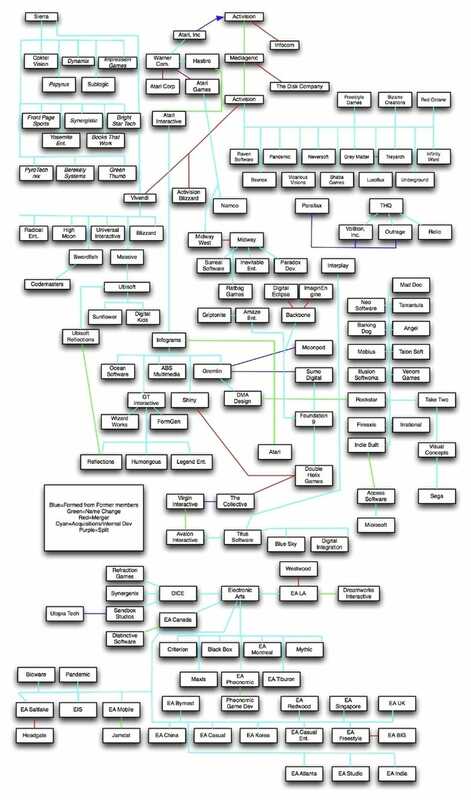 Check Your HUD put together this impressive, massive and nearly comprehensive family tree of game developers. Not sure what else to add, as just looking over it gets a little mesmerizing. The author says it's not a complete family tree, and it's got a few errors ("Infograms" for eg.) I'm sure nitpickers can find many more. But as an original effort, it's damn interesting.